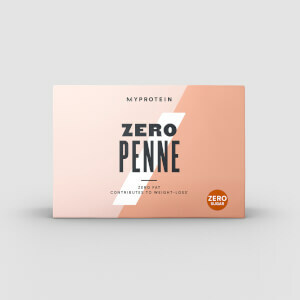 Our Zero Noodles are made from glucomannan, which is scientifically proven to support weight loss.1 One serving also provides 3.5g of quality fibre — important whatever your fitness goals. 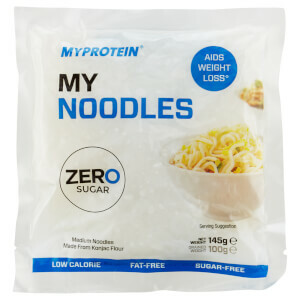 When to enjoy Zero Noodles? Simply rinse Zero Noodles under cold water, and then cook for either 1 minute in the microwave, or 2-3 minutes in a pan. Then add them to your favourite sauce, stir fry, or salad for a highly satisfying meal. 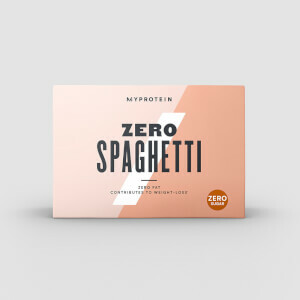 What to enjoy Zero Noodles with? To satisfy your sweet tooth without derailing your training, finish your meal with our Protein Ice Cream Mix —easy to mix and packed with all-important protein.